The Internal Revenue Service (IRS) has an incredibly long reach. Even if you are living or working abroad, as an American expatriate you are still required to comply with the US government’s tax laws and regulations concerning worldwide income. As a US expat living in Saudi Arabia, you are subject to rigid US tax filing requirements, non-compliance with which can result in a multitude of civil penalties, fines, and even the potential for criminal prosecution and incarceration. CPA Ted Kleinman specializes in assisting clients with international tax matters, including but not limited to the Streamlined Offshore Procedure, filing FBAR (Report of Foreign Bank and Financial Accounts), compliance with FATCA (Foreign Account Tax Compliance Act), delinquent and unfiled tax returns, and IRS tax audits. If you’re concerned about penalties for potential non-compliance issues, or if you simply need assistance minimizing your liabilities while maximizing your deductions and avoiding double-taxation, US Tax Help can walk you through your financial options at every step of the way. To start discussing your tax goals in a confidential evaluation, call Ted Kleinman CPA at (541) 923-0903 today. On or before June 3, 2004 — You are required to file Form 8854 (Initial and Annual Expatriation Statement). If you fail to file Form 8854, you will be deemed non-compliant with IRC 877. Expatriation tax is applicable for a period of 10 years. After June 3, 2004, but before June 16, 2008 — Under IRC 877, you must file Form 8854. In accordance with the American Jobs Creation Act (AJCA) of 2004, you must also certify that you met all tax filing requirements for the five years prior to your expatriation. Your worldwide income is subject to US taxation for 10 years following your expatriation if you are physically present in the United States for more than 30 to 60 days depending on the status of your employer. Your net worth was at least $2,000,000 on the date you expatriated or ended your US residency. You did not confirm your compliance with federal tax laws on Form 8854 regarding the five years prior to your expatriation. Be advised that if you fail to file Form 8854 in a timely and accurate manner, you could be facing a $10,000 penalty imposed by the IRS. 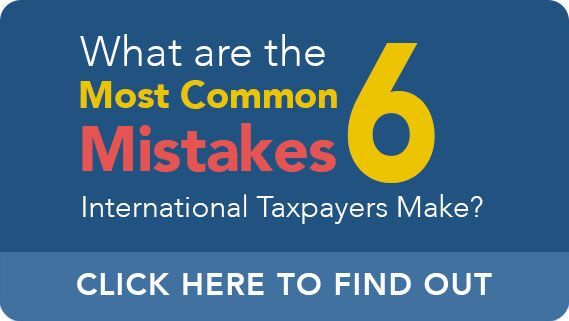 In addition to the $10,000 penalty associated with failure to file Form 8854, there are also severe consequences for expats who fail to file an income tax return. The IRS advises taxpayers who have not filed a timely income tax return to do so right away, even if making the full payment is not an immediate possibility. 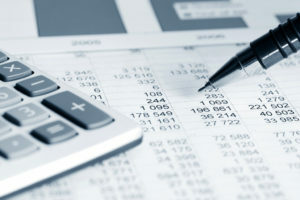 However, it is always prudent to consult with an experienced CPA prior to committing to a course of action, as your CPA can advise you of the potential pitfalls, outcomes, and alternatives in order to most advantageously resolve your international tax matter. You may qualify for deadline extensions, installment payment plans, or other beneficial arrangements. In addition to excluding foreign earned income, you may also be able to exclude housing by using the housing exclusion or housing deduction on Form 2555. However, there is a slight catch: you must file an income tax return in order to be considered for these tax credits and exclusions. If you have not filed a tax return for all years in which filing was required, Ted Kleinman can help you make a successful transition back into compliance with US tax reporting laws. Where tax law is concerned, deadlines are of the essence. 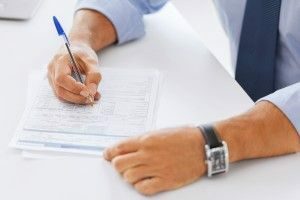 Even if you are unsure as to whether certain reporting requirements apply to you, it is wise to consult with professional help as soon as possible in order to preserve as many financial options as possible. In many cases, missing a deadline or hesitating to address a potential issue can close off options which would have been beneficial to the taxpayer. Don’t wait until it’s already too late: to set up a confidential appointment, call CPA Ted Kleinman of US Tax Help at (541) 923-0903 today.